1) June Ann Davis, disappeared in 1999, when she was just 18. Reportedly was a guest at the home of ‘spiritualist’, Patricia Alves, who was subsequently convicted for the murder of another woman who was staying at her home. 2) Nordex Wilkinson, 11, who vanished in May, 2004, while staying with her father and sister at Pattensen, Turkeyen. 3) Michael Harris, a 58-year-old contractor. 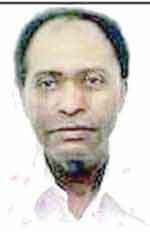 Vanished on Christmas Day in 2008 after leaving his Lot 607 Hippani Oval, Retrieve, Linden residence. 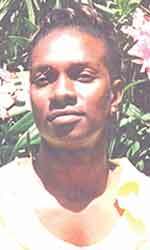 5) US citizen Kwame Rumel Jobronewet disappeared on June 12, 2009, shortly after arriving in Guyana and visiting relatives at Company Road, Buxton. 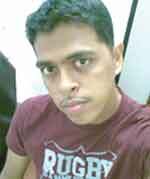 6) Levoy Taljit, 25, a Guyana Revenue Energy Agency employee. Last seen alive on December 23, 2012 after driving off from his home in a Toyota Raum, PNN 8315. 7) Patriena Nicholson, a lance corporal in the Guyana Police Force. She left the Police Mounted Branch on August 9, 2013, and hasn’t been seen since. 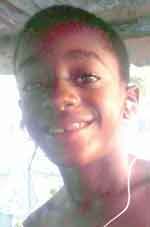 8) Daniel Adolphus, six, who disappeared in November 2015, while staying with his father at Richmond Hill, Essequibo.